A couple of weeks ago, people around the globe cheered for Michael Phelps as he won his 20th gold medal at this year’s Olympic Games in Rio. As people around the world tuned in to watch Phelps accomplish something no other Olympian ever has, the largest social network on the planet made a somewhat “game-changing” update to its algorithms. On August 9th, Facebook informed publishers and brands that the latest update to its algorithms — effective immediately — would be “blocking” ad-blocking software across its platform, cracking down on “clickbait” posts, and favoring content that is educational and resourceful in nature (similar to Google’s quality update from last year). According to an article recently published in the New York Times, “Facebook’s move is perhaps the strongest anti-ad-blocking measure taken by a major technology company.” But what exactly do these updates mean? And how do they affect your nonprofit’s marketing strategy? 1. Saying “no” to ad blocking software and “yes” to content promotions is huge. From the genesis of Facebook advertising options, the social network has been wary of ads that are intrusive, irrelevant, and overtly sales-y. Since AdBlock currently has 198 million users, Facebook knew that if it went so far as to block AdBlock, it would need to ensure that ads on its network were highly relevant, contextual, and valuable to its audiences — and that’s exactly what they’ve done. By promoting resourceful content (things like free guides, eBooks, infographics, etc.) instead of strictly sales-oriented content (things like “Donate Now”, “Become a Sponsor”, “Give a Gift”, etc. ), you’ll not only be playing nice with Facebook, but you’ll also be on your way to building your nonprofit’s brand as a true thought leader. This update creates a huge opportunity for nonprofits to attract new constituents on Facebook by promoting rich, educational content to intelligently defined audiences based on your organization’s personas. (Note: Our client’s generate between 50-100 percent more donors when promoting resources than when promoting sales-specific content!). 2. Facebook’s “Feed Quality Program” is going to allow people to see the ad promotions they actually care about. Still, Facebook will continue to let people have some control over the ads they do and do not see. The social network also introduced an overhauled version of its ad preferences tool, which allows people to opt out of seeing certain types of ads on the site (and “thumbs-up” the ads they do like). By developing, publishing, and promoting premium content on Facebook, your organization’s page will have a better chance of getting a “thumbs up” from users. As more people “like” the content you promote, Facebook actually increases the size of your target audience, which enables you to reach more relevant audiences more easily (and more affordably). 3. Click-bait headlines are being forced to go “bye bye”. Finally, Facebook has implemented an algorithmic filter that is similar to how many email spam filters work. Essentially, this filter looks for common phrasing and words used in clickbait headlines (think “You’ll NEVER guess what happens next” or “You’re not going to want to miss this — click here now!”). Facebook has actually begun to penalize these posts along with the pages that share the posts. This means that if you publish blog content that is to “clickbait-y,” not only do you run the risk of having your post taken down, your page also risks being “flagged” (which means that Facebook will bump your content down in people’s newsfeeds making it harder for both your existing — and especially new audiences — find your content). Don’t undermine the value of good content. Not every blog post needs to be a Pulitzer, but every piece of content you produce needs to be both contextual and valuable to the needs, problems, and desires of the new advocates you are striving to attract. Ads are important, and they enable social content platforms to be free for users and businesses alike — so adios, AdBlock! Businesses and — for our purposes — nonprofit organizations need to take the time to nurture and engage their target audiences with content that helps solve their problems or risk being flagged/blocked by Facebook itself. 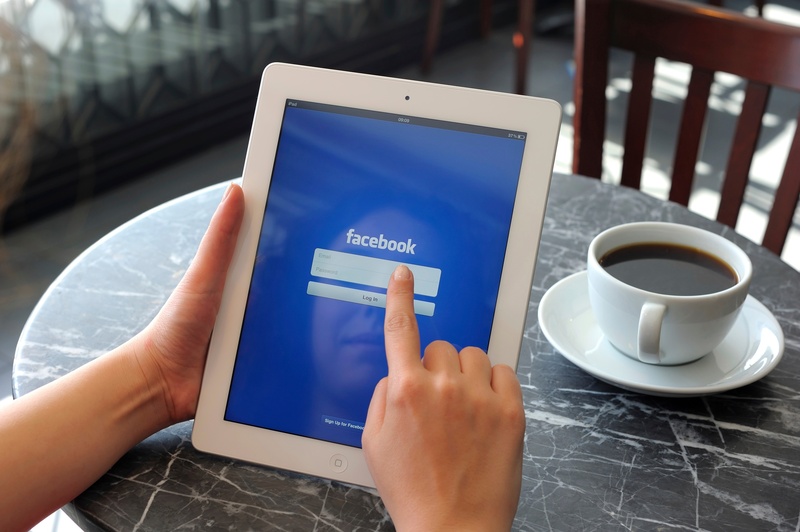 This latest Facebook algorithmic change is yet another reason why nonprofits of all shapes and sizes are adopting inbound marketing strategies for donor development. Nonprofit marketers can’t afford to have their digital marketing strategies interrupted — or heaven-forbid cancelled — when a tech giant like Facebook wakes up one day and decides that their ads are too intrusive or irrelevant for its platform. As more networks shift to favor the quality behind the content rather than simply the money that’s behind the content, it becomes less about which organization has the larger advertising budget and more about which organization is pouring its resources into developing content that best speaks to the needs, wants, and desires of their personas. Interested in learning more about inbound marketing? Request a free inbound consultation below!